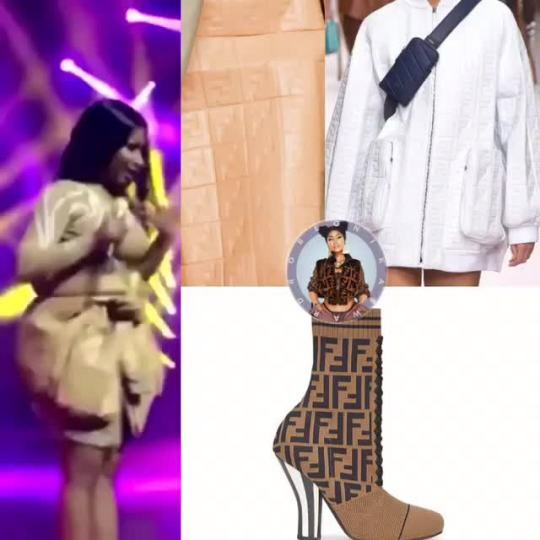 Tidal VIVO in Brazil || Nicki later switched into a Fendi spring/summer 2019 embossed bomber jacket and $990 multicolored fabric ankle boots. Posted in Onikas Wardrobe and tagged Nicki Minaj Fansite Nicki Minaj Sightings Nicki Minaj News Nicki Minaj Songs by cnkguy with no comments yet. Posted in Minajs Reign and tagged Nicki Minaj Fansite Nicki Minaj Sightings Nicki Minaj News Nicki Minaj Songs by cnkguy with no comments yet. Posted in Minajs Reign and tagged Nicki Minaj Fansite, Nicki Minaj Fansite Nicki Minaj Sightings Nicki Minaj News Nicki Minaj Songs by cnkguy with no comments yet.